Donors have many passions, many perspectives, and many reasons to give. Yet, the one thing they have in common is working through the Community Foundation to make life in Middlesex County better for the whole community. Perhaps you want to provide someone else with an opportunity you enjoyed, or preserve a piece of the community you love. Perhaps you are just beginning to explore your charitable purposes and want to join with others to create impact. Whatever your charitable interest, when you establish a Fund or join a Giving Circle at the Community Foundation, you make a good deed better. Our donors become part of something bigger than their individual acts of charity – they become philanthropists. What Are the Types of Funds? Anyone can be a Philanthropist. There are many ways to give to the community in which we live, we work, we play. Donors who wish to establish their own fund at the Community Foundation may choose one or a combination of funds to meet their charitable interests. All funds may be added to by anyone and may be built over time. For more information, contact CFMC. Unrestricted Funds [UR] – These funds allow the Board and staff to identify compelling community needs and the best use of your charitable dollars to address them. 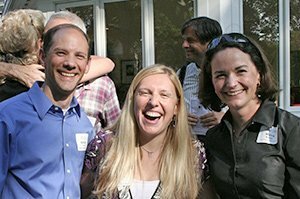 Designated Funds [DS] – These funds support your best-loved nonprofits forever by creating a predictable and valuable revenue stream to further their general mission or specific programs. Donor Advised Funds [DA] – These funds allow individuals, families, or businesses who wish to recommend where the fund’s dollars might do the most good, year in and year out. Field of Interest Funds [FI] – These funds allow the Foundation to support promising projects and nonprofits working in areas of interest to our donors such as the needs of young children, or the environment, or the homeless, or the arts. The Sari A. Rosenbaum Fund for Women and Girls and Animals: Respect & Friendship (ARF!) Fund are good examples. Unendowed Donor Advised Funds may be established to provide tax advantages in one or more years while donors decide where their charitable contributions will best meet their giving objectives. The principle of these funds may be distributed. Community Foundation staff provides information to help donors, if they wish. Donor Advised Fund distribution recommendations must be approved by the Board of Directors to maintain IRS compliance for the tax advantages received when making gifts. Income earned by these funds helps support Community Foundation operations. Fiscal Sponsor / Designated Funds [FS/D] – These funds are established for finite periods of time and help good people to do good things. 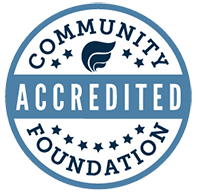 The Community Foundation acts as an incubator, providing assistance, knowledge, and resources while groups and organizations complete the process of incorporation and tax-exempt status. Project Funds [PF] – Special Project Funds are established on a short-term basis to meet a specific charitable purpose. These funds are not endowed as they are intended to operate within a given, finite time period. They may be established for a variety of reasons: to fulfill a particular goal, such as building a community recreational park; to support a specific initiative, such as a research project; or to assist the charitable efforts of a particular group of people. Agency (or Organization) Funds are permanent investments, managed by the Community Foundation on behalf of your organization. The distribution of funds are made from the earnings, without touching the principal. Benefits of Agency Funds include protecting your organization’s endowed monies for future needs, and demonstrating to your donors your commitment to long-range financial planning.